Lullington Garth is an oddly named road in Woodside Park. 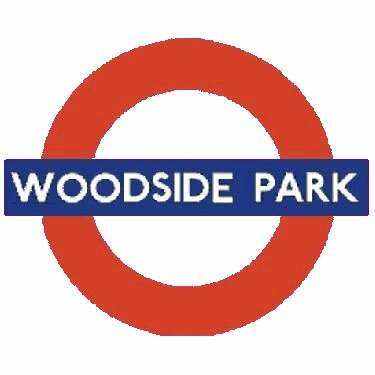 In the late 1920s, Mr FCJ ("Fred") Ingram conceived the creation of a new housing estate served by its own cluster of shops and near to Woodside Park station. 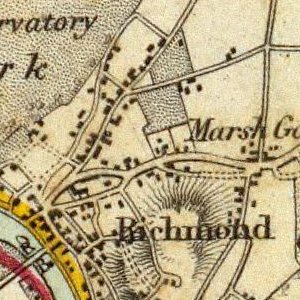 He began buying land on the western side of the Dollis Brook and as far north as the confluence of Folly Brook with Dollis Brook. 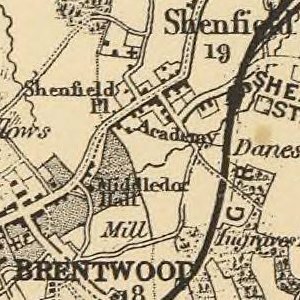 He promoted the proposed development as a 100-acre "garden suburb" with a maximum of eight houses to the acre. 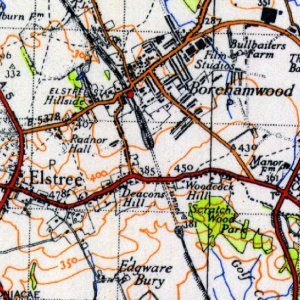 He named the new roads after rural areas of Sussex where frequented in his youth. The three-bedroom semi-detached houses were to be of consistent but not uniform design. The roads were to be laid out with ornamental trees and grass verges and the built-up area was to be surrounded by parkland and open fields, with footpath access to the beautiful Totteridge Valley. Lullington Garth was ultimately named after the village of Lullington in Sussex whereas a garth is the cloister garden of a medieval monastery.